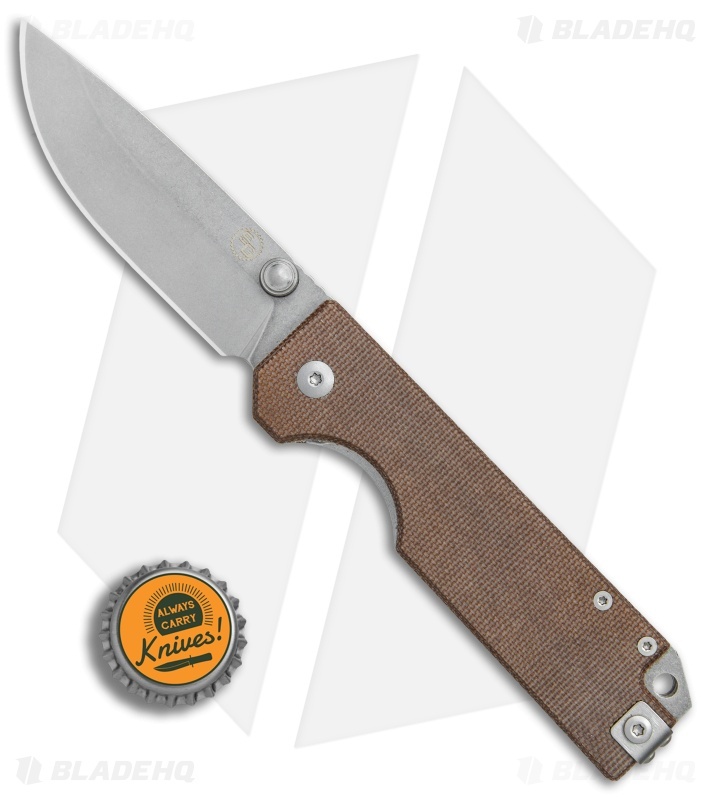 This Ausus model sports a brown canvas micarta handle and a stonewashed drop point blade. The StatGear Ausus offers a clean utilitarian design, built tough for managing your everyday carry needs. 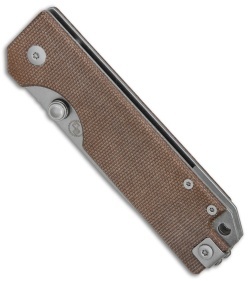 It's outfitted with sleek canvas micarta handle scales over a stainless steel liner lock frame. A large index groove and a flat spine provide ample leverage for any difficult cutting job. The D2 steel blade opens smoothly with dual oversized thumb studs and a ball bearing pivot. A stainless steel backspacer and machined lanyard hole finish off the solid EDC design. Rustic canvas micarta handle scales offer a secure grip and a classic look. Fully ambidextrous design is facilitated with dual thumb studs and a reversible low-profile pocket clip. D2 tool steel provides a super strong and corrosion resistant blade. I have always like the looks of this knife, and this last summer, as I was crossing into NYC on the Staten Island Ferry, I finally made the purchase… and then noticed that Stat Gear HQ is nearby! When I received the knife, I immediately appreciated the build quality and smooth opening. Over the months since, because it was so reasonably priced, I haven't gone easy on it. 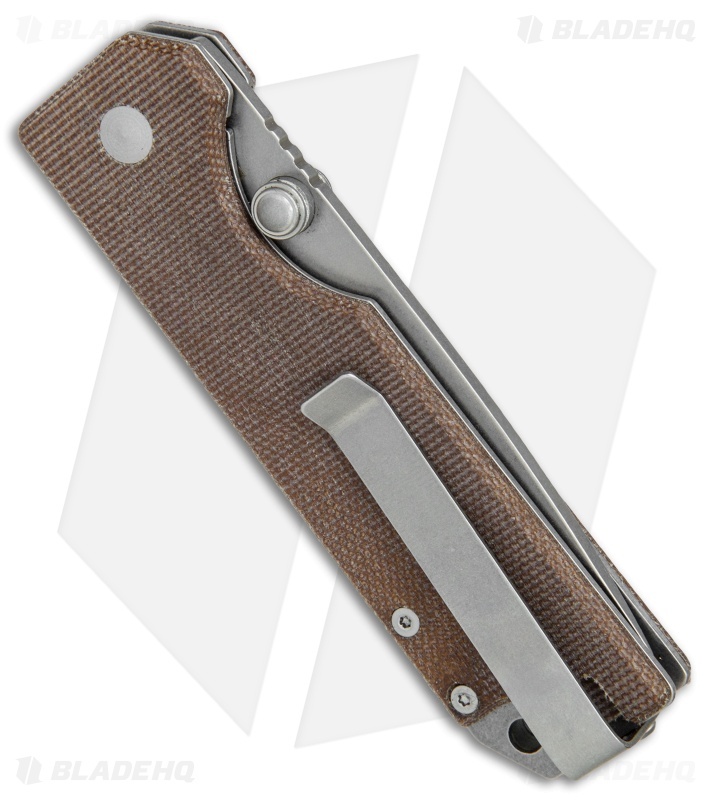 I have pried, twisted, and generally abused it (within reason), and it is still just as tight and smooth-opening as ever. The scales have gained a gorgeous patina that just looks better and better over time. I LIKE this knife a LOT. If Stat Gear (follow them on Instagram!) introduces an olive drab model, I'll want the first one off the line. If they ever offer an auto version (Blade HQ, are you listening here? ), I'll fight tooth and nail to get the first one. 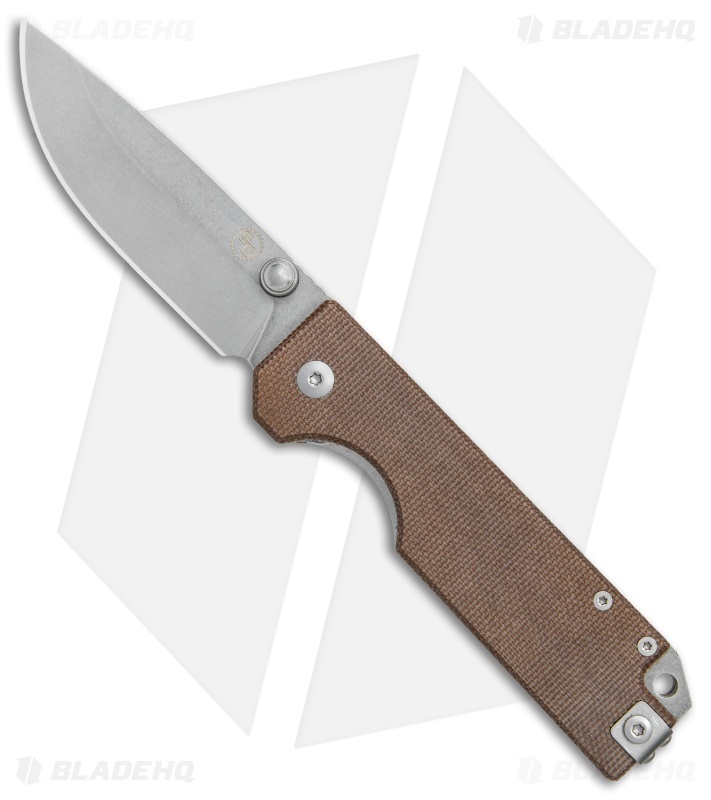 Really nice micarta scales, D2, bearings.....move over RAT ...youve been replaced. Honestly guys give this one a go. No disappointments. This is by far one of the nicest knives in my collection to date. The build quality is superb, the action is incredible, the centering on the blade was perfect, the ergo’s are amazing, and all for only $50!!! It is a little handle heavy due to the back spacer, but not anything noticeable once in the hand or while using. I would definitely recommend picking one of these guys up to anyone!! !